Start off your visit on the 26th (Wed): see majestic marine mammals with a dolphin and whale watching tour. Keep things going the next day: explore the world behind art at Museum of Fine Arts, get to know the fascinating history of Freedom Trail, and then wander the streets of North End. To find traveler tips, other places to visit, where to stay, and other tourist information, you can read our Boston trip itinerary maker website . London, UK to Boston is an approximately 10.5-hour flight. The time zone changes from Greenwich Mean Time to Eastern Standard Time, which is usually a -5 hour difference. Prepare for somewhat warmer weather when traveling from London in June: high temperatures in Boston hover around 28°C and lows are around 18°C. Wrap up your sightseeing on the 28th (Fri) to allow time to travel to Niagara Falls. Start off your visit on the 29th (Sat): admire the striking features of Frank Lloyd Wright's Darwin D. Martin House Complex, then Head underground at Cave of the Winds, then examine the collection at Niagara Falls Underground Railroad Heritage Center, and finally admire the sheer force of Niagara Falls. Get ready for a full day of sightseeing on the next day: enjoy breathtaking views from Niagara Falls Observation Tower, try to win big at Seneca Niagara Casino, and then explore the galleries of Buffalo & Erie County Naval and Military Park. To plan Niagara Falls vacation without wasting time, ask Inspirock to design an itinerary. Do a combination of flight and bus from Boston to Niagara Falls in 5.5 hours. Alternatively, you can do a combination of flight and train; or drive. Expect a daytime high around 29°C in June, and nighttime lows around 17°C. Finish your sightseeing early on the 30th (Sun) so you can travel to New York City. Visit Cupsogue Beach County Park and Lido Beach for some beach relaxation. Get in touch with nature at Point Lookout Beach and Speed Boats Tours. Take a break from New York City with a short trip to Bronx Zoo in Bronx, about 36 minutes away. 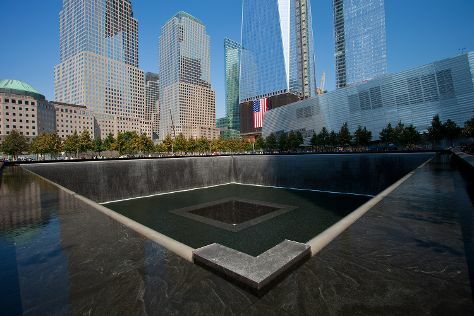 And it doesn't end there: steep yourself in history at 9/11 Memorial, get a new perspective on nature at American Museum of Natural History, pause for some serene contemplation at St. Patrick's Cathedral, and explore the world behind art at The Museum of Modern Art (MoMA). For maps, ratings, traveler tips, and tourist information, read our New York City trip planner . Traveling by combination of bus and flight from Niagara Falls to New York City takes 5.5 hours. Alternatively, you can do a combination of bus and flight; or drive. Plan for somewhat warmer nights when traveling from Niagara Falls in June since evenings lows in New York City dip to 21°C. Finish up your sightseeing early on the 5th (Fri) so you can catch the train to Philadelphia. On the 6th (Sat), get to know the fascinating history of Independence National Historical Park, then get a sense of history and politics at Independence Hall, then admire the masterpieces at Barnes Foundation, and finally contemplate the long history of Christ Church. On the 7th (Sun), you'll have a packed day of sightseeing: witness the site of a historic battle at Valley Forge National Historical Park, explore the world behind art at Philadelphia Museum of Art, then take an in-depth tour of Eastern State Penitentiary, and finally pause for some photo ops at Liberty Bell Center. For more things to do, traveler tips, maps, and tourist information, refer to the Philadelphia online itinerary planner . Traveling by train from New York City to Philadelphia takes 2 hours. Alternatively, you can drive; or take a bus. July in Philadelphia sees daily highs of 36°C and lows of 26°C at night. Finish your sightseeing early on the 7th (Sun) to allow enough time to take a train to Washington DC. Start off your visit on the 8th (Mon): take in the architecture and atmosphere at Washington National Cathedral, then explore the different monuments and memorials at Arlington National Cemetery, and then examine the collection at National Air and Space Museum. Get ready for a full day of sightseeing on the 9th (Tue): try to win big at Horseshoe Casino, then admire the masterpieces at National Gallery of Art, and then take an in-depth tour of National Portrait Gallery. For maps, more things to do, ratings, and tourist information, use the Washington DC attractions planning app . Traveling by train from Philadelphia to Washington DC takes 2 hours. Alternatively, you can drive; or take a bus. July in Washington DC sees daily highs of 37°C and lows of 26°C at night. Finish your sightseeing early on the 9th (Tue) so you can travel to Charlotte. 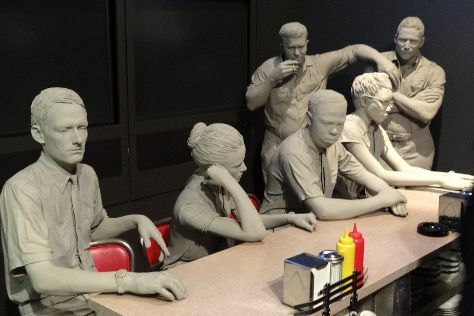 Kick off your visit on the 10th (Wed): watch a film at Concord Mills Mall, then explore the galleries of Carolina Raptor Center, then sample the fine beverages at Muddy River Distillery, and finally see the interesting displays at NASCAR Hall of Fame. To see photos, maps, where to stay, and other tourist information, use the Charlotte trip planner . You can fly from Washington DC to Charlotte in 3.5 hours. Alternatively, you can do a combination of train and flight; or drive. July in Charlotte sees daily highs of 38°C and lows of 24°C at night. Finish your sightseeing early on the 11th (Thu) to allow enough time to travel to Atlanta. Start off your visit on the 11th (Thu): see the interesting displays at World of Coca-Cola, then steep yourself in history at Centennial Olympic Park, and then admire the landmark architecture of Fox Theatre. To see where to stay, traveler tips, maps, and tourist information, go to the Atlanta day trip planner. Getting from Charlotte to Atlanta by flight takes about 3 hours. Other options: drive; or take a bus. In July in Atlanta, expect temperatures between 37°C during the day and 26°C at night. Finish your sightseeing early on the 11th (Thu) to allow enough time to travel to Orlando. Stetson Mansion and Ponce de Leon Inlet Lighthouse & Museum will appeal to history buffs. Get outdoors at Discovery Cove and Disney's Animal Kingdom. Explore Orlando's surroundings by going to St. Barnabas Episcopal Church (in DeLand), NASA Kennedy Space Center Visitor Complex (in Titusville) and Cape Canavarel National Cemetery (in Scottsmoor). Have a day of magic on the 16th (Tue) at Walt Disney World Resort. There's still lots to do: try out the rides at Happily Ever After Fireworks and ponder the world of politics at City Hall. To see where to stay, photos, other places to visit, and more tourist information, refer to the Orlando trip planner. You can fly from Atlanta to Orlando in 3.5 hours. Other options are to drive; or take a bus. July in Orlando sees daily highs of 38°C and lows of 28°C at night. Wrap up your sightseeing on the 16th (Tue) to allow time to travel to New Orleans. Start off your visit on the 17th (Wed): take in the architecture and atmosphere at St. Louis Cathedral, stop by Faulkner House Books, then examine the collection at The National WWII Museum, and finally appreciate the extensive heritage of Garden District. To find other places to visit, reviews, traveler tips, and more tourist information, refer to the New Orleans day trip planning site . You can fly from Orlando to New Orleans in 4.5 hours. Alternatively, you can drive; or take a bus. Due to the time zone difference, you'll gain 1 hour traveling from Orlando to New Orleans. Expect slightly colder weather when traveling from Orlando in July: highs in New Orleans hover around 31°C, while lows dip to 31°C. Cap off your sightseeing on the 18th (Thu) early enough to go by car to Memphis. Take a break from the city and head to Hampson Museum State Park and Memphis Zoo. Your inner history buff will appreciate National Civil Rights Museum - Lorraine Motel and St. Peter Catholic Church. Take a break from Memphis with a short trip to Horseshoe Casino in Tunica, about 44 minutes away. And it doesn't end there: steep yourself in history at Sun Studio, don't miss a visit to Graceland, and appreciate the extensive heritage of Beale Street. To find traveler tips, maps, reviews, and other tourist information, refer to the Memphis day trip tool . Getting from New Orleans to Memphis by car takes about 7 hours. Other options: fly; or take a train. Traveling from New Orleans in July, you will find days in Memphis are a bit warmer (38°C), and nights are a bit cooler (27°C). Cap off your sightseeing on the 20th (Sat) early enough to travel to Indianapolis. Start off your visit on the 21st (Sun): admire nature's wide array of creatures at Indianapolis Zoo, then explore the galleries of Indianapolis Motor Speedway Museum, then have fun and explore at Children's Museum of Indianapolis, and finally pause for some photo ops at Monument Circle. Keep things going the next day: do a tasting at Oliver Winery, then stop by Martinsville Candy Kitchen, and then admire the natural beauty at Indianapolis Museum of Art. Plan a trip to Indianapolis easily and quickly by telling Inspirock to suggest an itinerary. You can fly from Memphis to Indianapolis in 6.5 hours. Alternatively, you can drive; or take a bus. You'll lose 1 hour traveling from Memphis to Indianapolis due to the time zone difference. In July, Indianapolis is little chillier than Memphis - with highs of 33°C and lows of 21°C. Finish your sightseeing early on the 22nd (Mon) so you can drive to Chicago. Kick off your visit on the 23rd (Tue): take a stroll through The Magnificent Mile, appreciate the extensive heritage of Millennium Park, then admire the masterpieces at The Art Institute of Chicago, and finally make a trip to Buckingham Fountain. Keep things going the next day: enjoy the sand and surf at Rosewood Beach, then meet the residents at Lincoln Park Zoo, and then take in the spiritual surroundings of Fourth Presbyterian Church. To find where to stay, maps, other places to visit, and more tourist information, use the Chicago trip planning app . You can drive from Indianapolis to Chicago in 3.5 hours. Other options are to fly; or take a bus. Due to the time zone difference, you'll gain 1 hour traveling from Indianapolis to Chicago. Expect a daytime high around 33°C in July, and nighttime lows around 22°C. Wrap up your sightseeing on the 25th (Thu) to allow time to travel to Houston. Cockrell Butterfly Center and The Houston Museum of Natural Science will appeal to museum buffs. Escape the urban bustle at Hermann Park and Houston Zoo. Go for a jaunt from Houston to La Porte to see San Jacinto Battleground State Historic Site about 34 minutes away. There's much more to do: explore the different monuments and memorials at Glenwood Cemetery, admire the masterpieces at Museum of Fine Arts, Houston, admire the natural beauty at Hermann Park's Japanese Garden, and steep yourself in history at Cistern, Buffalo Bayou Park. Traveling by flight from Chicago to Houston takes 5.5 hours. Alternatively, you can do a combination of subway, bus, and flight; or drive. Traveling from Chicago in July, things will get a bit warmer in Houston: highs are around 41°C and lows about 29°C. Finish your sightseeing early on the 28th (Sun) to allow enough time to drive to Austin. Satisfy your inner culture vulture at National Museum of the Pacific War and Grape Creek Vineyards Fredericksburg. Get outdoors at Congress Avenue Bridge / Austin Bats and Natural Bridge Caverns. Step out of Austin with an excursion to Hahne Estates Winery in Johnson City--about 56 minutes away. Next up on the itinerary: trek along Lady Bird Lake Hike-and-Bike Trail, take in the natural beauty of Barton Springs Pool, contemplate in the serene atmosphere at St. Mary's Cathedral, and take a stroll through South Congress Avenue. To find reviews, traveler tips, where to stay, and tourist information, you can read our Austin visit planner . Traveling by car from Houston to Austin takes 3 hours. Alternatively, you can take a bus; or fly. In July in Austin, expect temperatures between 43°C during the day and 28°C at night. Cap off your sightseeing on the 31st (Wed) early enough to travel to Denver. Visiting River Rafting & Tubing and Summit Lake Park will get you outdoors. Do some cultural sightseeing at Denver Museum of Nature & Science and Denver Art Museum. There's still lots to do: take your sightseeing to a higher altitude at Mount Evans, take in nature's colorful creations at Denver Botanic Gardens, contemplate the long history of Molly Brown House Museum, and wander the streets of 16th Street Mall. For photos, where to stay, traveler tips, and more tourist information, read our Denver online travel planner . You can fly from Austin to Denver in 4.5 hours. Other options are to do a combination of car and flight; or drive. The time zone difference moving from Central Standard Time to Mountain Standard Time is minus 1 hour. Traveling from Austin in July, things will get slightly colder in Denver: highs are around 36°C and lows about 18°C. Finish up your sightseeing early on the 3rd (Sat) so you can travel to Las Vegas. Appreciate the collections at The Mob Museum and The Neon Museum. Take a break from the city and head to Red Rock Canyon National Conservation Area and Lake Mead National Recreation Area. Venture out of the city with trips to Hoover Dam (in Boulder City) and Willow Beach (in Fort Mohave). The adventure continues: shop like a local with The Strip, try to win big at Bellagio Hotel and Casino, don't miss a visit to Paris Las Vegas, and ponder the design of Bellagio Fountains. For more things to do, reviews, ratings, and other tourist information, read Las Vegas day trip site . You can fly from Denver to Las Vegas in 4.5 hours. Alternatively, you can do a combination of bus and flight; or drive. The time zone changes from Mountain Standard Time (MST) to Pacific Standard Time (PST), which is usually a -1 hour difference. Traveling from Denver in August, things will get a bit warmer in Las Vegas: highs are around 45°C and lows about 29°C. Finish your sightseeing early on the 6th (Tue) so you can travel to Los Angeles. 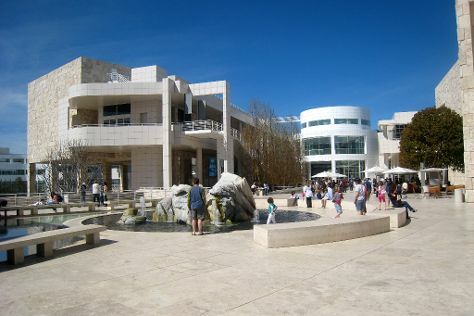 On the 7th (Wed), see the interesting displays at The Getty Center, then take in the waterfront at Santa Monica Pier, then tour the pleasant surroundings at Venice Beach and Boardwalk, and finally examine the collection at The Grammy Museum. Get ready for a full day of sightseeing on the next day: get to know the fascinating history of Hollywood Walk of Fame, explore the different monuments and memorials at Hollywood Forever Cemetery, and then see the sky in a new way at Griffith Observatory. To see photos, other places to visit, maps, and other tourist information, you can read our Los Angeles itinerary planner . You can fly from Las Vegas to Los Angeles in 4 hours. Other options are to drive; or take a bus. In August, Los Angeles is slightly colder than Las Vegas - with highs of 34°C and lows of 22°C. Wrap up your sightseeing on the 8th (Thu) early enough to travel to San Francisco. On the 9th (Fri), take your sightseeing to a higher altitude at Twin Peaks, identify plant and animal life at Fort Funston National Park, and then take a leisurely stroll along Fisherman's Wharf. Here are some ideas for day two: take in the views from Golden Gate Bridge, cast your line with a fishing tour, and then step off the mainland to explore Alcatraz Island. To see where to stay, ratings, other places to visit, and more tourist information, go to the San Francisco trip planner . You can fly from Los Angeles to San Francisco in 4 hours. Other options are to do a combination of flight and train; or drive. Traveling from Los Angeles in August, things will get slightly colder in San Francisco: highs are around 26°C and lows about 17°C. Wrap up your sightseeing on the 11th (Sun) to allow time to travel to Portland. 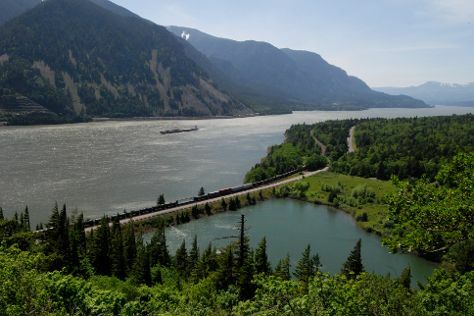 Kick off your visit on the 11th (Sun): steep yourself in history at Columbia River Highway and then explore the activities along Columbia River Gorge National Scenic Area. On the next day, take in nature's colorful creations at International Rose Test Garden, indulge your taste buds at Sokol Blosser Winery, then see the interesting displays at Evergreen Aviation & Space Museum, and finally learn about winemaking at Natalies Estate Winery. To find traveler tips, reviews, ratings, and tourist information, use the Portland online sightseeing planner . Traveling by flight from San Francisco to Portland takes 4 hours. Alternatively, you can do a combination of train and flight; or drive. Traveling from San Francisco in August, you will find days in Portland are a bit warmer (34°C), and nights are about the same (18°C). 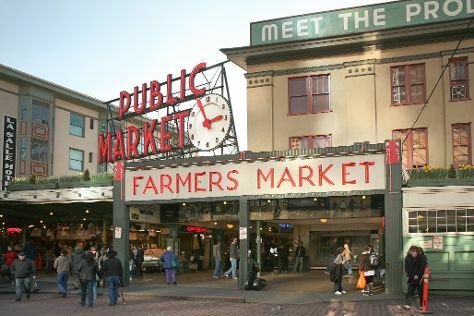 On the 13th (Tue), wrap the sightseeing up by early afternoon so you can travel to Seattle. On the 13th (Tue), visit a coastal fixture at West Point Lighthouse. On the next day, take a stroll through Pike Place Market, then look for all kinds of wild species at Mercer Slough Nature Park, then explore the world behind art at Chihuly Garden and Glass, and finally kick back and relax at Alki Beach. To find where to stay, other places to visit, ratings, and other tourist information, refer to the Seattle trip app . Getting from Portland to Seattle by flight takes about 3 hours. Other options: drive; or take a bus. Traveling from Portland in August, expect nights in Seattle to be about the same, around 19°C, while days are slightly colder, around 31°C. Wrap up your sightseeing by early afternoon on the 16th (Fri) to allow time for the car ride to Vancouver. Vancouver is a city on the north bank of the Columbia River in the U.S. On the 16th (Fri), admire the natural beauty at Esther Short Park and then tour the pleasant surroundings at Wintler Community Park. Get ready for a full day of sightseeing on the 17th (Sat): steep yourself in history at Fort Vancouver National Historic Site, then hike along Oneonta Gorge, and then take in the dramatic scenery at Multnomah Falls. To see ratings, photos, more things to do, and other tourist information, read Vancouver route builder . Drive from Seattle to Vancouver in 3 hours. Alternatively, you can take a train; or take a bus. In August in Vancouver, expect temperatures between 34°C during the day and 17°C at night. On the 18th (Sun), you'll have the morning to explore before heading back home.